Summer season adversely affects your skin texture special intense UV Sun rays and Sun tanning results in rough, dull and dark skin. But now you can have soft, smooth and glowing skin even in summer season. 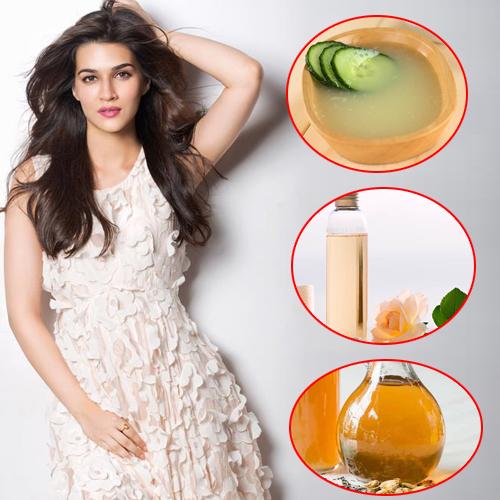 Here are some home remedies to get fair glowing skin in summer. Take 50 grams of rose water, 1/2 tablespoon of alum and 100 grams of glycerin. Combine all the ingredients and mix them well together. Dip a cotton pad into the solution and wipe your face and neck with it. Leave it there for 10 minutes, and then rinse it off with normal water. You can keep this homemade toner for skin in refrigerator for regular use.